I got into GORUCK events in 2017 when I was looking for something to get back in the same caliber of shape I was in at VMI. It was a great friend, Clay, who helped me discover the incredible community of GORUCK. Though, I guess I’m not sure if I should be thanking him or mad at him for my new-found obsession. Since finding GORUCK, I have been active in helping to grow a Ruck Club in my hometown, Richmond Va (RVA Ruck Club). Getting a Ruck Club going is not at hard or daunting as one may think and you can do as little or as much as you choose, depending on your level of commitment and time. If you want to get a Ruck Club started, here are 5 easy steps to get you going. Step 1: Find someone else as crazy as you. Many hands make light work and if you do not want this adversely affecting your family or other responsibilities, find someone you can share the responsibility with. In RVA, we have many great people like Clay, Karen, and Heather to get things organized and well attended. You are only as good as the people you surround yourself with, so make sure they are great people! Step 2: Public & Private Social Media. Having a public and private page for your Ruck Club is a big help. In RVA, we have both a Public Page and Private Group. Before you start looking for other weirdos to get on board with your weekly or monthly shenanigans, you need a place to coordinate events and gauge interest. This is where a private group on Facebook is very useful. Once a person is active in the Ruck Club we invite them to the private group where there is more “chatter” and “hey, I’m going for a ruck this weekend, wanna join?” conversations happen. As those threads and ideas grow, we make things official on our public page. The public page keeps club information and events more clear and accessible to everyone. It also makes it easy for people to find and share what all we are doing as a Ruck Club. Step 3: Start doing stuff. This could be as simple as a weekend ruck on a trail, morning ruck around a neighborhood, or even a ruck WOD. We have focused on a few consistent staples for our group. We meet weekly at Libby Hill Park and do stair repeats with rucks, there is usually at least one trail ruck per month, and everyone is invited to Mongrel Fitness every Sunday for a ruck WOD with Cadre JB. In addition to that, we have started doing Taco Rucks, Brew Rucks, Santa Rucks, Bruckfast Club, and Op Legacy Rucks with TMF. All of these are as easy as setting up an event on Facebook and sharing it with all of our connections. 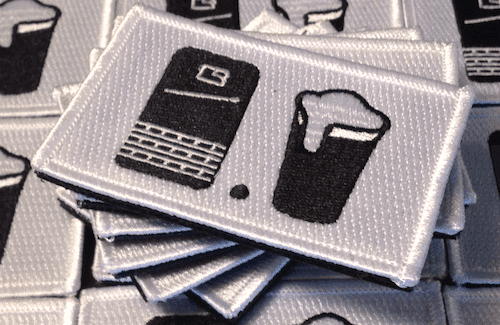 Sometimes, we take it a step further and create custom patches but that does take a small monetary investment in the club. That said, we found that if it brings more people out and we do more good things for our community, it is well worth it. Communicate the events and then show up. Your people need to know you are doing something and that you’ll be there, as soon as that slips, the club stops working as well. Be a good teammate and be consistent. Step 5: Contact GORUCK and make it legit. GORUCK is a great resource for Ruck Club. Once your club is established, reach out to Bomber and he will get your Ruck Club listed on their online directory. Once you are connected with GORUCK, you’ll get the ruck club discount codes (that should only be shared on your private page) as well as the ability to participate in the ruck club callouts. Check out Rucking.com. They have a great section of their website devoted entirely to Ruck Clubs. They have regular highlights of what clubs are doing around the world, as well as ideas to help you grow and develop your club. Hopefully, this helps you get started. Starting a Ruck Club is a constant learning experience, so feel free to comment below with questions or to share any tips you have for starting a Ruck Club. Just another guy with a crazy obsession. I have 4 awesome kids, a wife that way out of my league and a golden retriever that is better to me than I deserve. I work in finance in Richmond but spend most of my free time either camping with my family, rucking with our local club, or volunteering with the Travis Manion foundation or Team Rubicon. Very helpful! 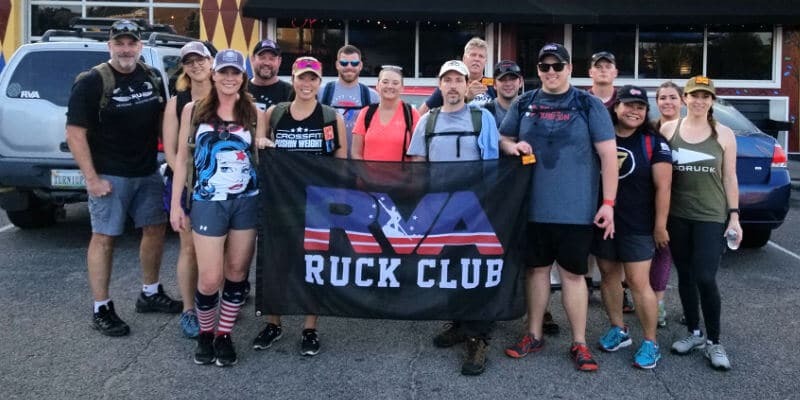 RVA is a great ruck club. What year did you graduate from VMI? Class of 90 here.